The northernmost oil discovery in the world could be the opening salvo needed to jump start this very prospective frontier area. Norwegian-owned West Alpha Rig Extending north from the West Siberian Basin, the world’s largest petroleum province, the Kara Sea has long been recognised as being an area very favourable for hydrocarbon accumulations. A classified CIA research paper authored in 1988 and released in 1999 entitled The Kara Sea: A Soviet Oil Resource for the Turn of the Century touts the area’s potential. The speculative paper says, “The Kara Sea could become one of the major petroleum regions in the USSR early in the next century. We estimate that recoverable oil resources in the Kara Sea amount to 20 Bbo…” The report goes on, “The circumstances that make the Kara Sea a foreboding exploration area to the Soviets also make it an excellent candidate for joint ventures with Western firms.” This is exactly what has happened between ExxonMobil and Rosneft. The resource estimates vary widely, from just over 20,000 MMtboe (US Geological Survey) to over 60,000 MMtboe by the All-Russian Research Geological Oil Institute (VNIGNI), which estimates that more than half of Russian Arctic Sea resources are concentrated under the Kara Sea bed. Already, state oil companies Rosneft and Gazprom have obtained licences for a significant portion of the offshore Arctic areas, including the Kara Sea, and have plans for more drilling. 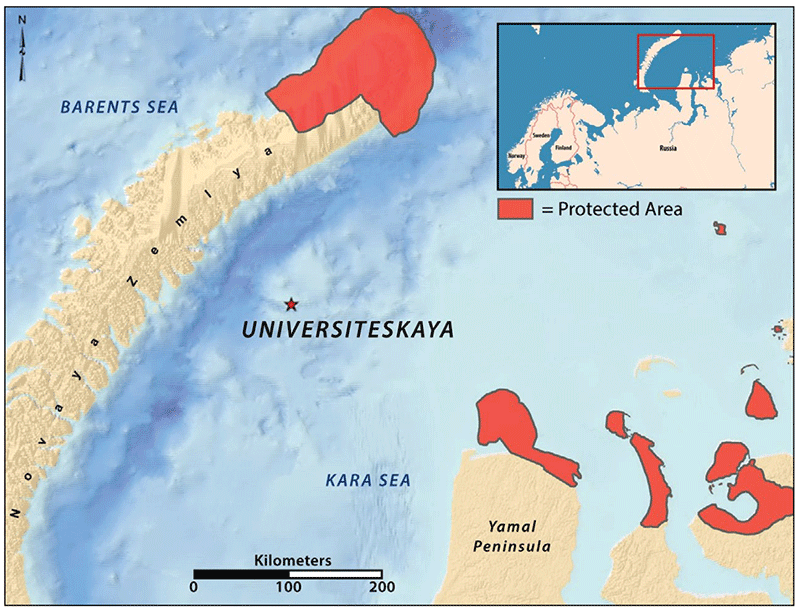 Before Universiteskaya, there were 12 commercial discoveries in the Kara Sea bays, mostly offshore extensions of onshore structures that include gas, gas-condensate, and oil-gas condensate fields. Drilling operations between 1988 and 1990 discovered two unique and very large gas-condensate fields, Rusanovski and Leningradshoye. While the new discovery is very encouraging, gas fields could dominate, with VNIGNI allocating oil to be 11% of the initial petroleum resources and gas to represent 83%. It will take some huge oil discoveries to overcome the obstacles facing the companies exploring this region. The development will be a difficult and costly process. Developing accumulations far from shore, such as the Universiteskaya discovery, will require new technologies in this harsh environment. It is in this context that Rosneft entered into its partnership with ExxonMobil. Their management recognised the need to use the expertise provided in this partnership and from companies such as Nord Atlantic Drilling, Schlumberger, Halliburton, Weatherford, Baker, Trendsetter, and FMC. Now, international politics could get in the way as the well was completed just before the October 10 deadline that ExxonMobil was granted by the US government under sanctions barring American companies from working in Russia’s Arctic offshore. The US government instituted these sanctions, recognising that Russia needs offshore Arctic drilling to offset declining Siberian fields. 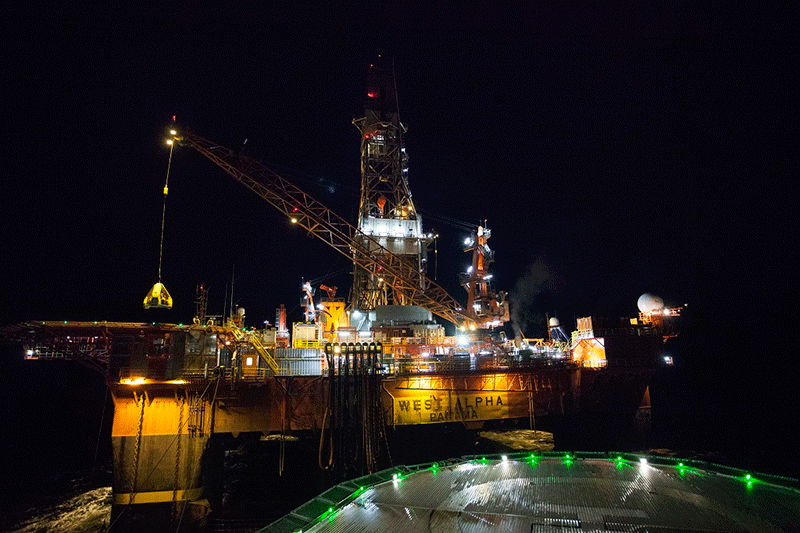 Environmental issues are always at the forefront when drilling in Arctic waters. For now, according for Rosneft, there is still a lot of work ahead interpreting results and further assessing more prospects. For ExxonMobil, future plans are on hold in evaluating its access to 46,000 km2 in Russia, second only to their 61,000 km2 US acreage. Both companies would like to get back to exploring their very promising holdings and are hoping for a quick resolution to the sanctions in this high stakes game of poker. Apache announced on 18 August that its shallow water Phoenix South-1 exploration well in permit WA-435-P, 180 km north of Port Hedland, had intersected at least four discrete oil columns ranging in thickness between 26m and 46m. It made a preliminary estimate of 300 MMbo in place.